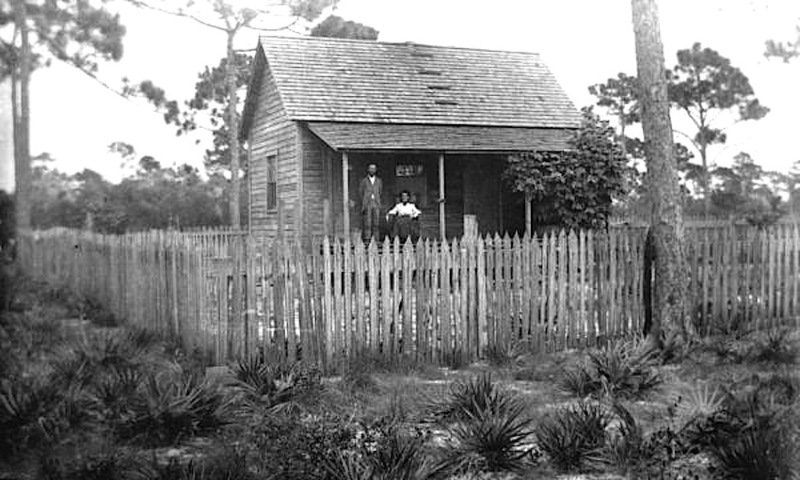 Mr. and Mrs J. C. Williams on their porch, Eastpoint, Florida, ca. 1900, via Brown Family Collection, Florida Memory Commons on flickr. The Williams were among six families who settled on a peninsula called Eastpoint, across the bay from Apalachicola, Florida, in 1898. The group called itself the Co-Workers’ Fraternity, and together the members pursued philosophical and religious study and farmed and ran seafood and lumber businesses. Land was individually owned, but profits were shared.